Organic Vanilla Soymilk [Organic Soymilk (Filtered Water, Whole Organic Soybeans), Organic Evaporated Cane Juice, Calcium Carbonate, Natural Vanilla Flavor, Sea Salt, Carrageenan, Sodium Citrate, Baking Soda, Vitamin A Palmitate, Vitamin D2, Riboflavin (B2), Vitamin B12]. No matter which kind of milk you choose, our 8 oz. 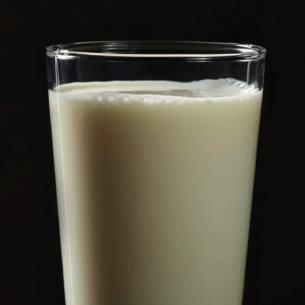 servings provide about 300 mg of calcium each – roughly 30% of your recommended daily intake.